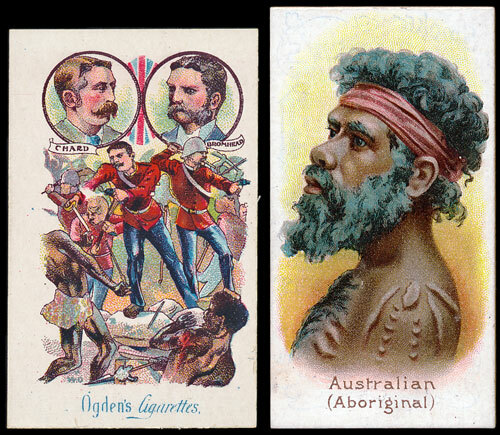 The first part of the cigarette card section contained a number of collections and accumulations with many realising figures well above estimate. A lot containing part sets and type cards by Clarke, Cohen Weenen, Redford, Salmon & Gluckstein and Taddy amongst others estimated at £300 realised £472. A collection of complete sets by better manufacturers including Churchman, Cope, Franklyn Davey, Goodbody etc estimated at £250 realised over £400. A lot featuring several sets from Lambert & Butler, Sinclair and Smith estimated £150 realised £260. Several collections by individual manufacturers also achieved good results, including a Gallaher range estimated at £180 which realised £295. A Mitchell collection with an estimate of £180 realised £236, and an Ogden Guinea Gold collection with an estimate of £120 realised £306. 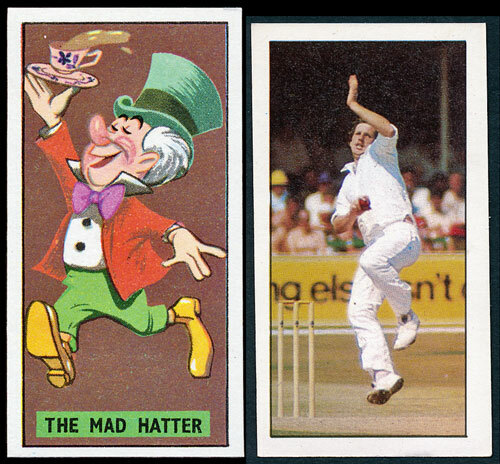 Individual British sets were once again popular and many exceeded their estimates. 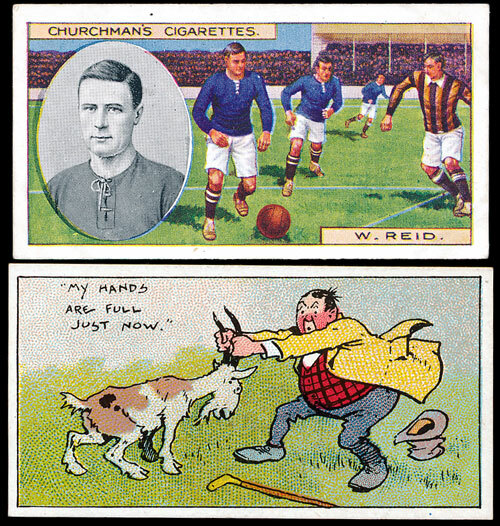 Some of the most notable results include an Anstie Scout Series set with an estimate of £50 which realised £100, a set of Churchman Footballers (coloured) estimated at £200 realised £271, an Ogden Victoria Cross Heroes set estimated at £200 realised £436 despite 3 cards having staining, a Phillips Types of British Soldiers set in good to very good condition realised £212, a Player Everyday Phrases set with an estimate of £140 realised £200 and a Taddy Natives of the World part set of 14 cards made an impressive £330 despite 5 cards having small faults. The sale contained a small selection of overseas sets which all achieved excellent results. A Wills Scissors Indian Regiments Series set with an estimate of £100 realised £177, a Kinney Famous Running Horses (American) set estimated £150 realised £177 despite having one card missing and a Sniders & Abrahams Natives of the World set with an estimate of £120 realised £188. 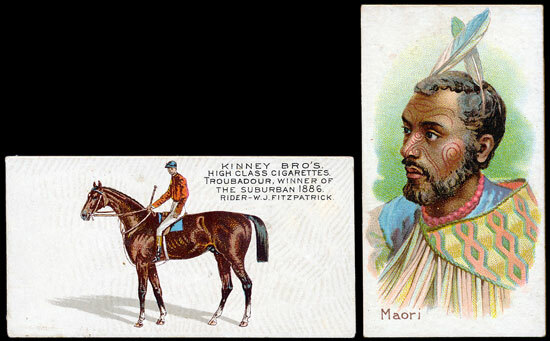 A good trade card section achieved strong results across the board, including a range of part sets and type cards from A. & B.C., Barratt, Cadbury, Fry, Goodwin and many others with an estimate of £280 realised £566. A collection including sets by Cadbury, Fry, Junior Pastimes and Tetley estimated at £200 realised £306 and a collection of complete and part sets from A. & B.C., Radio Review and Topical Times with an estimate of £160 realised £306. The individual sets also proved popular. Particular highlights included a set of Barratt Walt Disney Characters 2nd Series estimated at £80 which realised £112, a Bassett Cricket First Series set with an estimate of £85 realised £200 and a Whitbread Inn Signs 3rd Series (metal) set estimated at £70 realised £165. 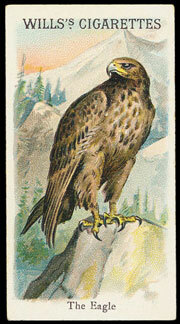 Warwick and Warwick value cigarette card collections free of charge. Our next auction is on 16th September.